It's almost time for us to return back again to the Torbay coast and the seaside with the "Torbay Express" on Sunday 3rd June. 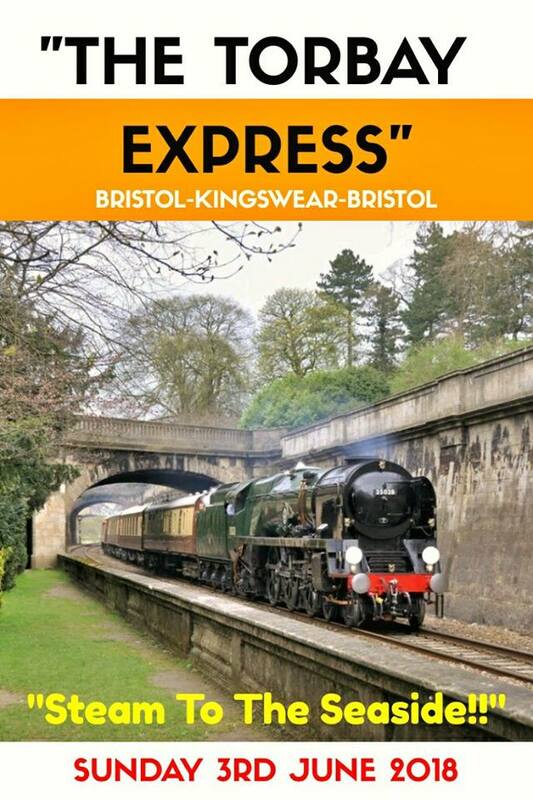 Kicking off the Torbay programme for 2018, our tour will start and finish at Bristol Temple Meads with a route via Bath Spa, Trowbridge, Westbury and Taunton as we head to our destination of Kingswear via PDSR metals. Also taking place on the 3rd is the "Torbay Airshow" which will host an exciting array of aircraft for everyone to enjoy. Its free to attend so why not combine the two and book on this tour today for a really memorable day at the seaside! For more on the Torbay Airshow, visit torbayairshow.com for more details.